More fun out of MIT’s AI lab. Grad student Peng Yu happily showed off a couple of flying demos on our visit, controlling an Ar.Drone with a number of methods, including keyboard, tablet (touch), voice and gesture, each naturally presenting their own positives and negatives, in terms of ease of use and specificity. 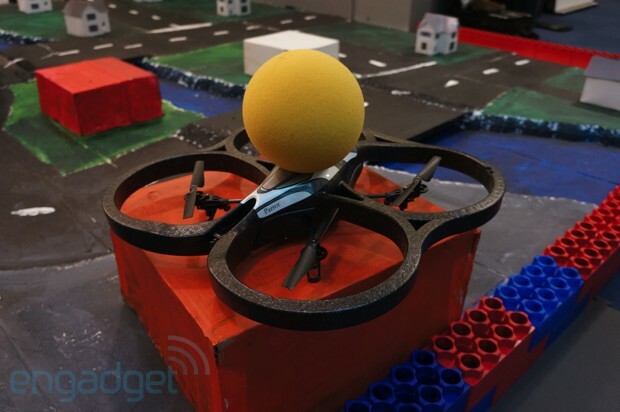 The latter was certainly the most intriguing of the bunch, executed via a Kinect hack that allowed Yu to direct the flying robot over a small model town in the middle of the lab. Voice, meanwhile, played an important role in a computer demo that keeps in line with a vision from Boeing of a future (some 20 or 30 years out, according to its estimates) in which citizens utilize personal aircrafts capable of carrying two to four people to, say, commute to work. Speaking into the system, the user essentially negotiates with the aircraft, giving a destination, hoped for flight duration and any pitstops to be made along the way. The system in the demo adjusted for storms and let Yu know how quickly it thought it would be able to make the run. Demos of all of the above can be found after the break. MIT’s Computer Science and Artificial Intelligence Lab envisions a future of personal air transport (video) originally appeared on Engadget on Sun, 18 Nov 2012 15:57:00 EDT. Please see our terms for use of feeds. As we enjoy our first F1 action in the US since 2007 we’re glad that it’s in HD this time, however it still falling short in one area — in-car camera shots. Although the racing series belatedly made the jump to high definition broadcasts last year, protests from the teams over weight and space issues caused it to stick with standard-definition cameras for the on-board shots. Now that a couple of years have passed and presumably the technology has improved, that may be addressed next year, at the same time US broadcasts of the series move from Speed/Fox to NBC Sports. Formula One Supporters Association caught up to F1 journalist Christian Sylt who got a peek at future plans that include the possibility of HD in-car cameras, multi-channel formats offering different views of the track and an interactive 3D replay feature. We’ll have to wait and see how much — if any — of that is actually implemented any time soon, but if you’d like to check out the technology in use today, Speed TV has a live stream from several of the cars currently racing around the Circuit of The Americas in Austin, Texas. 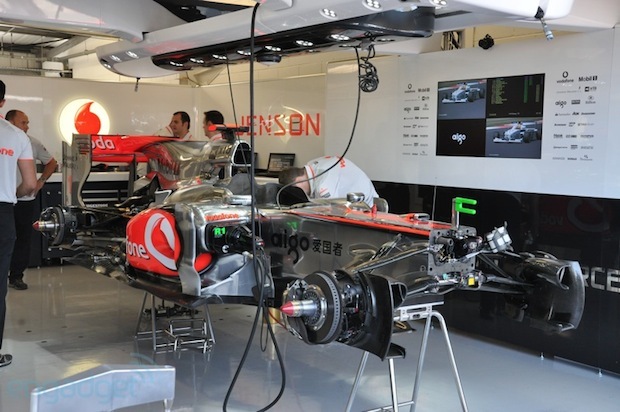 Formula 1’s on-board cameras may switch to HD next season originally appeared on Engadget on Sun, 18 Nov 2012 14:51:00 EDT. Please see our terms for use of feeds. Oh, the many faces of Keepon — well, one face, really, in a variety of different shades and textures. Various iterations of the beloved dancing robot smiled (or whatever the closest approximation is for their mouthless sort) for the camera on our recent visit to BeatBots in San Francisco. 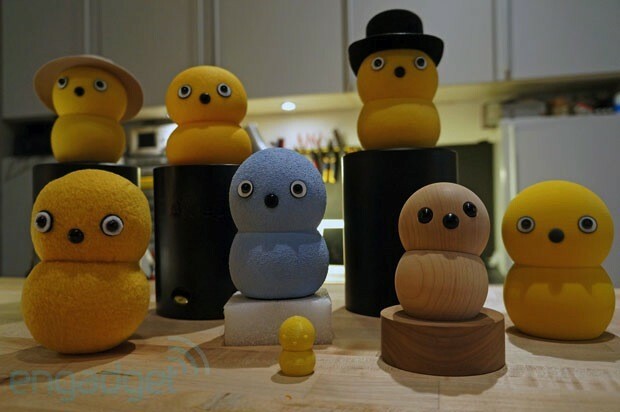 Pictured above are the original Keepon Pro, the retail My Keepon, a special blue Keepon commissioned for a German facility, a stuffed doll created by a friend of the company, a moveable wooden model designed by Keepon co-creator Hideki Kozima as a gift and two 3D printed models made by Shapeways (large) and MakerBot (small). And check out Keepon posed next to Zingy below, a sibling created by BeatBots for a UK-based power company. The family resemblance is uncanny. Visualized: Keepon family reunion originally appeared on Engadget on Sun, 18 Nov 2012 14:04:00 EDT. Please see our terms for use of feeds. This entry was posted on November 18, 2012, 5:30 pm and is filed under Mobility. You can follow any responses to this entry through RSS 2.0. Both comments and pings are currently closed.